Delivering the perfect combination of crispness, detail, color and sound you’d expect from 4K Ultra HD & HDR with the speed and ease of the Internet. The high-quality audio and video playback of the Kaleidescape Strato movie player offers viewers a superior home theater experience that rivals the movie watching experience of commercial theaters. With its advanced up-scaling algorithm, Blu-ray and DVD quality movies can be downloaded up to 100 Mbps and are shown at 60 frames per second, making for fluid, seamless animation. The Kaleidescape Strato movie player can store up to 1500 DVD quality movies, 330 Blu-ray quality movies and 180 4K Ultra HD quality movies due to its 6 or 10 TB hard drive. Strato is compatible with Kaleidescape’s Encore components such as the Kaleidescape Terra movie server and Alto movie player. The Strato movie player can also be used by itself as a standalone. The Strato interface is also displayed in crisp, vibrant, full 4K Ultra HD and shown at 60 frames per second. Movies stored on Strato are converted into 4K Ultra HD quality so they can be watched and enjoyed the best way possible. The downloaded movies on Strato also don’t have those annoying delays upon start-up, buffering, or loss in quality that are common among most movie streaming services and products. In addition, Strato enables movie watchers to bypass the pre-movie trailers and viewer warnings. The movie player also enables viewers to skip to and immediately play a certain scene in the movie without the inconvenience of fast-forwarding. With Strato, movies are played immediately and in the best quality possible. The content on the Strato movie player is compatible with and capable of being shown on TVs and screen projectors that can play open standard 10-bit HDMI® 2.0a HDR. Additionally, Strato supports high-quality, lossless multichannel audio, resulting in superb sound. Movies downloaded to the Strato movie player can be found on the Kaleidescape Movie Store. This online movie store, the only online movie store in the world, offers a vast collection of thousands of movies made from Hollywood’s finest motion-picture studios. Each movie is scaled up to 4K HD quality when downloaded and played on the Strato movie player. Both lossless multichannel and object-based audio are available with 4K Ultra HD and Blu-ray quality movies. Of all the costs inherent to a distributed AV system or fully integrated home, the rack hardware is perhaps the most scrutinized by our clients. It's not surprising – the relative cost can be a large percentage of the overall project. But it is also one investment that can significantly reduce immediate, and future, service charges. Not only does a well organized equipment area make for a smooth install process free of surprise labor overages, it also makes future service calls less time consuming. All of our home automation systems are built to a specific standard, and housing audio video components in a rack helps further perfect this standard. Any one of our field technicians can likely work on a well built rack with their eyes closed. They will know that network equipment, audio video receivers, amplifiers, etc., all have an assigned location from top to bottom. By knowing the precise location of AV components, and the connections between them, our technicians can troubleshoot a system problem more efficiently. Building an equipment rack to a standard also allows for a faster initial install. It makes sense because the plan has already been laid out. There is no need for the installer to decide if the cable boxes will be housed in the entertainment center or the linen closet, or if wiring needs to be pulled to the attic or the basement. When decisions are made ahead of time, and equipment consolidated in one location, our field technicians can spend less time scratching their heads, and more time building a well tuned home automation system. High end audio video equipment is created by some of the best industrial designers in the world, making a well built rack look impressive, plain and simple. Comprised of sharp lines, cool lighting, and brushed steel, most audio video components are made to be displayed. When housed in a rack, top of the line gear is allowed to look it's best and perform flawlessly, and racks are an opportunity to showcase the beauty of technology while also keeping it in an out of the way location. Taking guests to a home's equipment area is often as satisfying as popping the hood of a new sports car to display its engine. Like a fine automobile, well built audio video racks can be a conversation piece, and most music/ movie lovers like to admire the look of their setup from time to time. Much of the equipment installed in a well built rack is preventative in nature. In order to keep an audio video system operational and well maintained, components like cooling systems, battery backups, and internet accessible power switches are a necessity. To keep fragile electronics in good working order, all of our racks are built with airflow in mind. Entertainment centers and closets are dangerous locations to install electronic equipment because they are prone to overheating, especially when filled beyond capacity. Equipment racks however are relatively easy to cool with a simple fan system, and are designed with component spacing and venting in mind. With all other factors being equal, technology living in a rack will have a much longer lifespan than equipment stuffed in a cluttered cabinet. Power outages are dangerous to home automation systems on two fronts. First, they can interrupt essential services like internet, phone, or security cameras. Also, when power is eventually restored, the incoming spike can damage delicate electronic components. A well built system rack always includes power management and battery backup equipment. Unfortunately this equipment is also the heaviest and most cumbersome, so storing is very inconvenient without a rack. All too often consumers will ignore the protection offered by power management simply because they have nowhere to put it. Despite spending a fortune on their AV gear, these same consumers are left wondering why the life expectancy of their technology is so short. Finally, a home automation, or audio video system is only as good as its uptime. Sometimes system components can crash or lock up, and will be unusable until a service technician arrives on site. But if a rack is designed properly, most common problems can be addressed remotely, provided there is an available internet connection. While no customer likes encountering system problems, a simple phone call and five minute reboot is definitely preferable to a lengthy site visit and large service bill. A properly designed rack will always include the capacity to be remotely managed by its installer. How effectively that installer can solve problems remotely is also directly correlated to the initial organization and design of the rack and it's equipment. Keeping that in mind, a retrofit, or installation with scattered equipment, is much less likely to be serviced remotely than a system with a consolidated rack area equipped with internet accessible power switches. The backbone of a technology filled home is a reliable wired and wireless network. The performance of devices like iPads, iPhones, laptops, and gaming consoles are directly related to the speed and stability of a home's network. Also, for a whole home automation system like Savant to function free of lag or technical error, a professionally installed wireless network is a requirement. 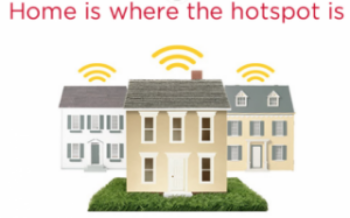 Cable companies provide everything average consumers need to get WIFI running in their homes. The idea is to set up end users with a network, quickly and easily, with the field technician spending as little time as possible to complete the job. This isn't to say that cable companies always provide poor customer service, but often important considerations like router placement and bandwidth usage fall by the wayside. It's not often that a cable installer will ask enough questions to know which devices are important enough to be hardwired, or which parts of the house should get the best WIFI coverage. Also when it comes to hardware, the routers that cable companies provide are less than ideal. Not only do they not have enough processing power to distribute data at higher bandwidths, but some companies have taken to the less than honest practice of piggybacking their public hotspots off of their customer's routers. More on that here. Rececently, Comcast was sued by customers for turning routers into public hotspots. Source: arstechnica, read the full article here. The best way to get the most out of your home network is to design it while your house is being built. It is much easier to wire a home when its walls are wide open for construction. Wiring a home this way will allow you to give wired priority to rooms that will contain data hungry devices, and keep your wireless network from being overloaded with traffic. Also placement of wireless access points can be planned to provide whole house coverage (including outdoors) without being constrained to existing wiring. Planning ahead for network wiring during home construction can save thousands of dollars in labor and renovation costs in the future. A home with network wiring in place will also have greater desirability and resale value than one without, especially for tech savvy buyers. It's much easier to wire a home during initial construction. For those who want to improve network speeds and coverage at an existing home, don't worry. While it may not be possible to achieve total network perfection without tearing open walls and ceilings, there are ways to get pretty close. Wireless networks can be improved and extended through mesh connections. This option allows users to extend the coverage of their network wirelessly when no viable network wiring is present. Mesh connections are easy and convenient, but unfortunately come with downsides. With all other factors being equal, mesh connections are slower than normal wireless connections. This is because your device first needs to communicate with the meshed access point, before it can start receiving data from the actual internet feed. Think of a meshed access point as a bridge that needs to be crossed before a device can actually start getting the data it wants. Also meshed networks can be tricky to work with. Unless there is a hardware device present actively managing each access point, these types of networks can be difficult to administer. Another option for extending a home's network without adding additional wiring is power line communication. These devices use a home's existing electrical wiring to send data from point A to point B. Provided there are power outlets in the areas you want to extend your wired network connections to, a PLC device might be a relatively inexpensive and easy alternative. The downsides of these devices are speed loss and possible IP address conflicts. Also they won't always work depending on the age of the home, and the type of electrical wiring present. More information on power line communication adapters here. Proper hardware is imperative when building a home network. It's important that wired networks are capable of transferring 1000 mbps (or 125 megabytes of data per second), and wireless networks have enough coverage and capability to deliver full bandwidth from a user's internet service provider. Some reading this might think that gigabit ethernet is overkill but, there is no reason for it not to be in place. The cost differences between 1000 mbps and 100 mbps are negligible, whereas the difference in performance is huge. Having plenty of bandwidth on a wired network also helps it be future proof. There will be less to worry about when new devices are added, or new technologies invented. Also for users planning on installing a whole home automation system like savant, gigabit ethernet is a requirement. There are numerous components that will need to talk to each other as quickly as possible. Wireless networks need to be able to deliver full throughput from a user's internet service provider. This means that if user is paying for 80 mbps download speeds through their cable company, their wireless network will be able to support these speeds in most areas of the house. In a 500 square foot studio apartment, this is easy to achieve, but in larger homes with multiple levels and obstructions, much more planning will be needed. The only way to achieve proper coverage across multiple rooms and floors is to add more than one wireless access point. Once a wireless network consists of 2 or more access points, it becomes much more difficult to manage. Users will need to deal with issues like channelization, interference, and hand-off. There are hardware solutions like Ruckus Wireless, and Ubiquiti Unifi that help manage multiple wireless access points and mitigate the common problems mentioned above. They also allow numerous access points to perform as a single seamless network. In homes with a lot of devices, or any mid to large sized home with a savant system, this type of wireless hardware is a necessity. 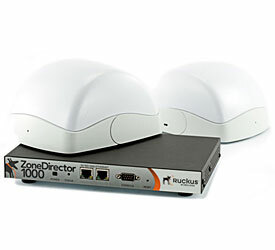 Wireless access points from Unifi and Ruckus wireless combined with management hardware and software provide users with a single unified network. How will HDR shape the future of TV? HDR stands for high dynamic range, and describes an image that is capable of displaying bright highlights and dark shadows simultaneously. Photography buffs are likely familiar with HDR and why it is both an exciting and important development for still images, and video alike. 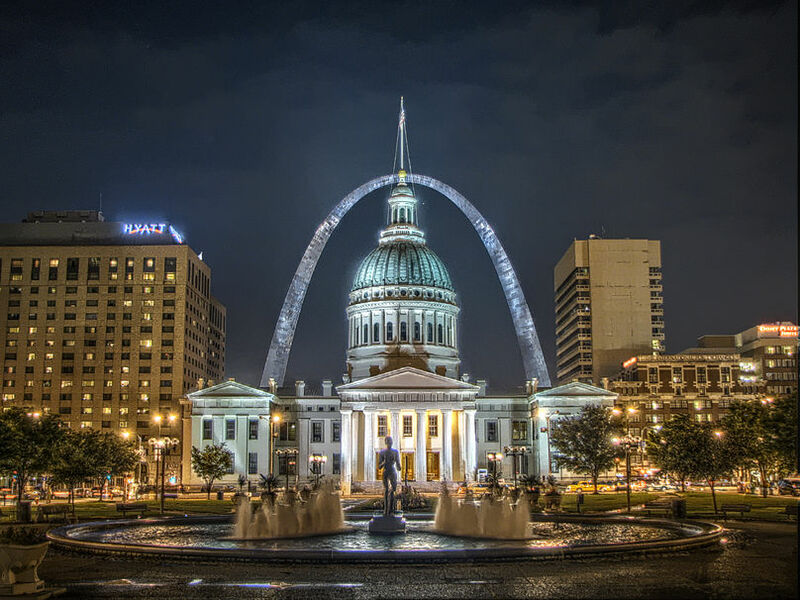 Put simply, HDR photography combines the shadows and highlights of two or more images to create a new image that contains more detail, brighter colors, and better clarity. The amount of information a camera can record while taking a still image, or frame of video, is limited. This presents a problem when filming a subject that contains bright light or dark shadows. The camera user will inevitably run into a problem in this situation with parts of their images turning out either over or under exposed. The result is an image that is too dark in parts (lost detail,) and too bright in others (poor color). HDR techniques solve this problem by combining multiple images at different exposure levels to create a final product that is superior to the sum of its parts. This is accomplished with hardware capable of capturing multiple images quickly enough, and software that can layer those images together intelligently. Recent history has shown a lot of development and promotion of higher resolutions in video technology. First was HD, then 1080P HD, and now 4K. 4K is exciting, and will likely improve the way most of us watch TV in the future, but it's possible HDR will prove to be just as, or more important than 4K. The distribution model of HDR technology could be, in theory, more appealing than 4K . The gains in image quality from HDR when weighed against the additional information required to capture it are significant. HDR is capable of bringing better detail without being the bandwidth hog that 4K is. IF the hardware and software side of the equation (might be a big IF,) is ironed out, creators of original TV content like Netflix and HULU might be drawn to technology that more of their regular users can take advantage of. For example, image quality gains from HDR are likely to scale across all types of screens, (phones, tablets, TV, and Cinema), whereas 4K is overkill for smaller displays. HDR technology is here to stay, but it's still unclear how it will adopted by TV manufacturers and content creators. Unfortunately as we've seen in the past, appealing technologies often don't obtain the market share they deserve because they don't have enough momentum. Laser discs, Minidiscs, and HDDVDs are all examples of interesting technologies that didn't make the cut. For HDR video to reach it's full potential it will need to be adopted by hardware manufacturers, content creators, and end users. The proliferation of HDR photography apps for smart phone users will help consumers at least become familiar with the concept. As users become more accustomed to the high contrast images HDR photography brings, it is possible they will come to expect the same from their television sets. Content Creators like Netflix have expressed interest in filming their original series in HDR. This will help drive the bus forward because consumers will want new hardware to watch their favorite shows with better contrast and brighter colors. Netflix has also explained that the bandwidth required for HDR is significantly less than 4K source: Trusted Reviews. Tv manufacturers are already using the term HDR to help market their televisions without actually employing the technology discussed above in a consistent way. Unfortunately this will only add to the confusion surrounding high dynamic range imagery. Hopefully, a standard will be developed so that manufacturers of audio video equipment can help deliver the benefits HDR video might offer as opposed to further muddying the waters of market confusion. Most TVs, surround sound receivers, and soundbars have HDMI ports labeled ARC, but few consumers know what ARC is or what it can be used for. ARC stands for audio return channel, and it allows for two way audio communication between devices. This means that if two ARC enabled devices are connected, only one HDMI cable is required to send audio to and from each device. For example, by connecting the ARC HDMI port on a TV to the ARC port on an AV receiver, audio can be sent from the TV back to the AV receiver without using a separate audio out from the TV. This simplifies AV receiver set up and allows for smart TV apps and over the air television to be heard through a high end speaker setup. ARC also makes soundbar setups cleaner, and more minimal. By using the HDMI ports on the TV to switch between components (Apple TV, cable box, Bluray, etc. ), a single HDMI cable can be used to send audio back to the soundbar through ARC. The downside to ARC is that since the surround audio processing is now being done by the TV, results will be mixed. In that event, we suggest using the optical out of the TV to achieve the same goal, albeit with more cables. An HDMI audio return channel can possibly simplify a home theater setup by requiring less cables and connections. It can also make sound bars easier to install and control. It is especially useful for sending audio from a TV's over the air broadcast tuner (major networks like NBC ABC CBS etc.) to a higher end speaker setup. This allows cable and satellite TV users to have an emergency backup of major networks (useful during bad weather, or outages), without sacrificing the sound quality of their high end AV receiver. Remember, for ARC to work properly both sides of the HDMI connection need to be labeled HDMI ARC.